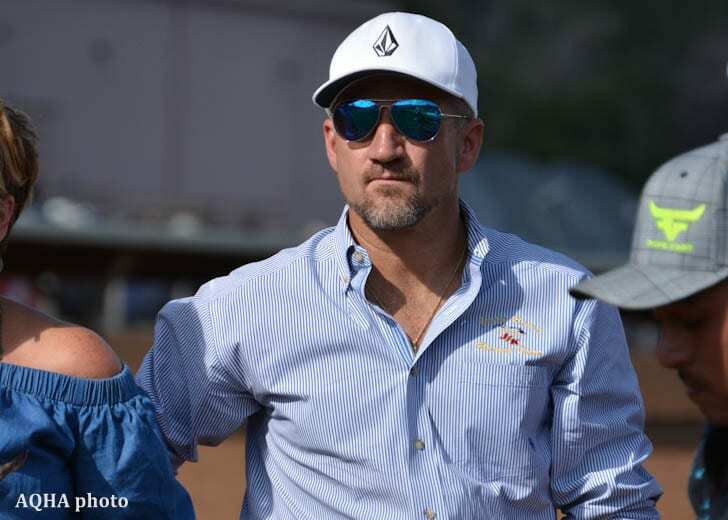 Texas Racing Commission stewards have upheld summary suspensions of three Quarter horse trainers – including reigning AQHA champion trainer Judd Kearl – resulting from positive tests for the Class 1 drug nomifensine in May and June. A formal hearing was conducted on Wednesday, Sept. 6, to hear evidence, testimony and arguments related to the July 31 summary suspensions of Kearl (who was notified of five nomifensine positives at Sam Houston Race Park and Retama Park between May 22 and June 17), Jose Sanchez (two positives at Retama on June 10 and June 16) and Brian Stroud (one positive at Retama on June 17). According to the Texas Racing Commission, each trainer “testified that they did not personally administer or cause to administer nomifensine” to their horses. All three said they employ Dr. Justin Robinson as their veterinarian. Darrell Vienna, the retired trainer who is now a lawyer and represented Kearl and Sanchez at an earlier hearing and unsuccessfully petitioned for a temporary restraining order in civil court, testified at the hearing. According to the commission, Vienna “offered hearsay testimony that Dr. Justin Robinson had admitted to him that he had administered the nomifensine” to Kearl's horses. In upholding their own summary suspensions of the three men, the commission's ruling supplement states, “This board of stewards does not find it credible that Dr. Robinson administered nomifensine to horses in the trainers' stables, without the trainers' knowledge and consent. However, if Dr. Robinson administered the nomifensine without the trainers' knowledge, the trainers have still acted, because they gave the veterinarian the freedom to administer substances at his own discretion to horses in their care, custody and control. The summary suspensions will continue until a hearing is conducted on the merits of each case. Stewards may impose up to a one-year suspension and $10,000 fine for the first violation in a Class 1 drug case, a three-year suspension and $25,000 fine for the second violation and up to a five-year suspension and $25,000 fine for each additional violation. The Texas Racing Commission executive director is authorized to enhance penalties, with fines up to $100,000 per violation and a maximum five-year suspension. Nomifensine is a human anti-depressant drug developed in the 1960s and withdrawn from the U.S. market in the early 1990s due to adverse side effects in patients, including drowsiness and increased heart rate. Because it is no longer FDA approved, the drug likely would have been compounded. Kearl won 129 races from 474 starts (27 percent) in 2016 for earnings of $4.6 million en route to being named champion trainer by the AQHA. Stroud has won AQHA Grade 1 races in 2014, 2015 and 2016. Sanchez began training in 2016, according to Equibase, and already is among the sport's top trainers. This entry was posted in NL Article, The Biz and tagged absolute insurer, aqha, Brian Stroud, darrell vienna, Dr. Justin Robinson, illegal drugs in racing, Jose Sanchez, Judd Kearl, nomifensine, texas racing commission by Ray Paulick. Bookmark the permalink.